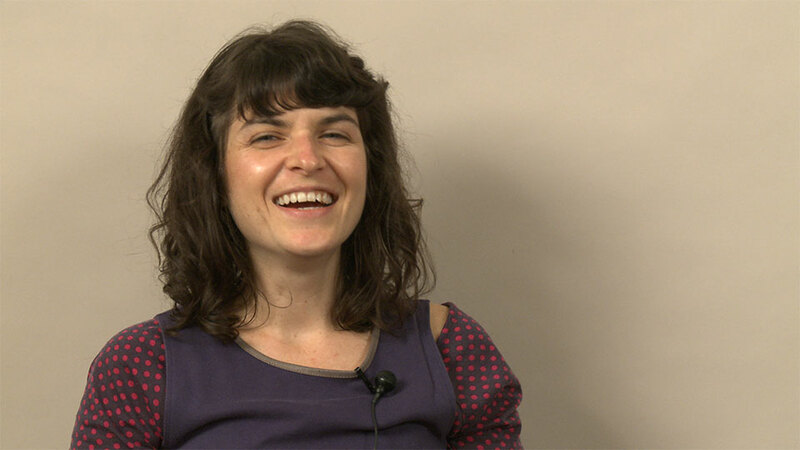 In this 2013 interview, experimental animator and School of the Art Institute of Chicago alumna Jodie Mack discusses the developments that have taken her from an interest in musical theater and playwriting to organizing microcinemas and DIY filmmaking. Mack describes her interest in early cinema history and the relationship between its technologies and spectacle, particularly the manner in which video production incorporates planned obsolescence. Referring to the “scavenger nature” of her work, Mack discusses her interest in waste and her desire to use reclaimed materials in her work. Using fabric and paper to create shifting fields of color, Mack references corroded and glitched digital media in her work. Her use of quotidian materials reflects upon the role of abstract animation in everyday life, and serves to draw audience awareness to the spectacle of televisual technology. Interview conducted by Melika Bass in November 2013.